LOVE! I thought my jewelry was organized but apparently not! What great ideas! I am in need of some new organizing ideas for both my jewelry and my daughters. Going to check out the rest of her home. Gorgeous! 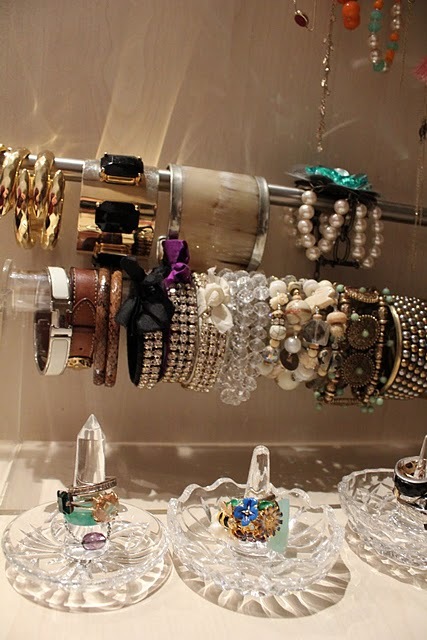 I've been looking for ways to display my bracelets. Now I see how I can. Man, I wish I could be this organized! 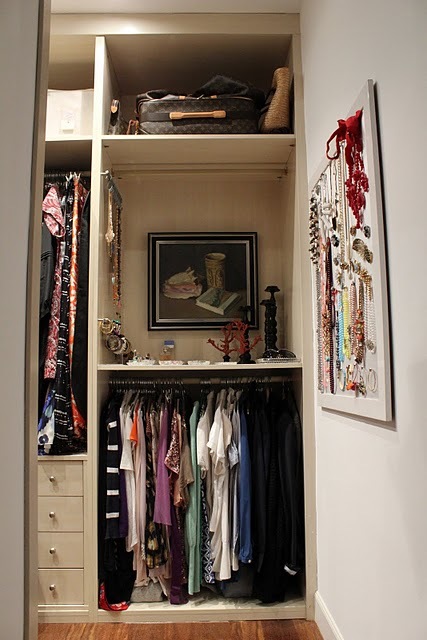 Nice closet! Very impressive. I especially like the idea of the rod with the S hooks. 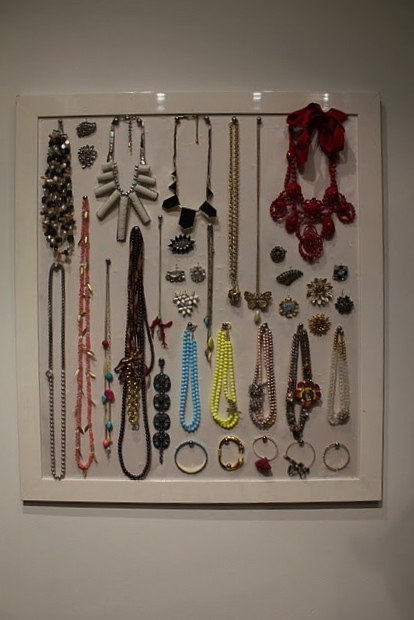 Although the bulletin board with the jewelry as art display is a hit too. Off to check out her house. OMGoodness, genius ideas!! I'm book marking this. Now I only wish I knew what she used to make that frame necklace board. I need that badly!! Also I love the other necklace holder. Is that for ties?? I need DIY steps. LOL. Great ideas, I have minimal space and this is so perfect. 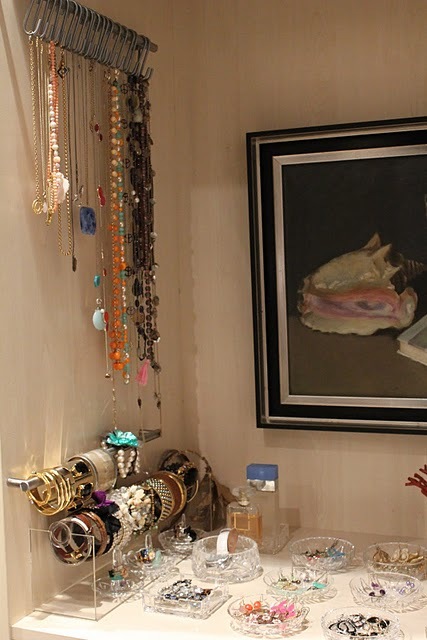 Love it, if I don't display my jewelry I just forget what I have and end up not wearing it! 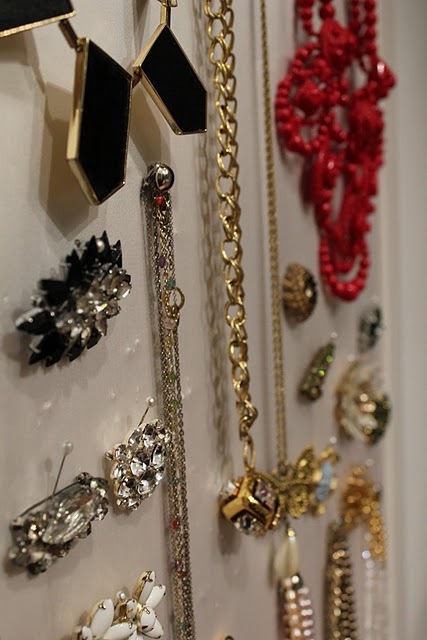 Really like what she did for the necklaces! 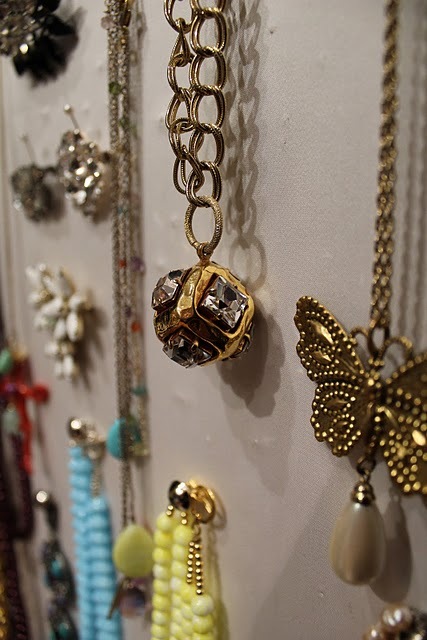 ow darling, you are too generous, thank you for posting about my jewelry organization! I love the jewelry Frame! So pretty and well put!